*HOT* Kinect for XBOX 360 + FREE Dance Central - $128.99! Check out this *HOT* deal from Best Buy! You can get the Kinect for XBOX 360 PLUS the game Dance Central for only $128.99! Click on the 'Buy Now' link in the above video/image to view the deal. Here are the best matchups at Dollar General this week. As always if you find a deal not mentioned please leave a comment so we can all enjoy the savings! 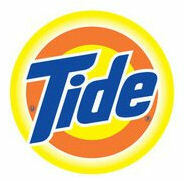 Today Tide on Facebook is giving away 20,000 samples of FREE Tide Stain Release at 1 PM Eastern time! This freebie is available to anyone who has not already successfully requested a Stain Release sample (mine has already come in the mail from their giveaway last month! ).